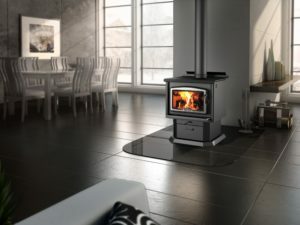 Direct-Vent Empire (American Hearth) Cast Iron Stoves include Empire’s Slope Glaze Burner system with expanded ember bed for extra glow. Ceramic beads within the burner swirl and tumble the gas to create naturally swirling flames that are indistinguishable from a wood fire. Topped off with the hand-painted ceramic fiber log set and glowing embers, the effect is stunningly realistic and guaranteed to keep you and your guests mesmerized for hours. 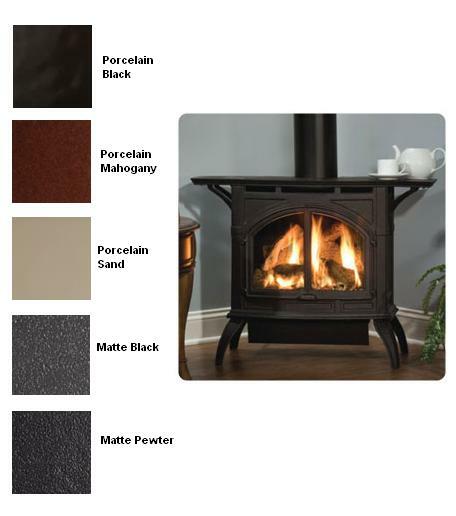 Choose from two sizes (19,500 or 26,500 Btu) and up to five colors – in rich porcelain plus matte pewter and matte black.